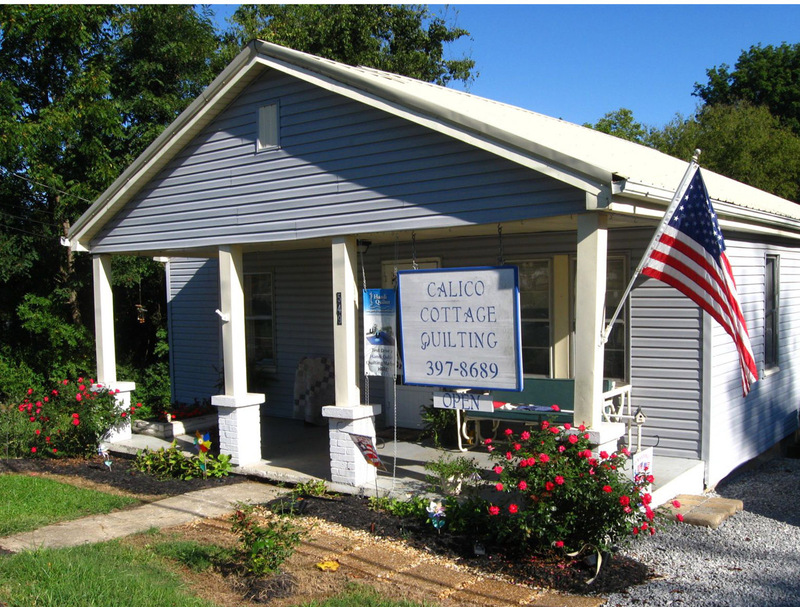 You've heard of a two-car garage and a double-decker bus, well Calico Cottage Quilting in Dandridge, Tennessee, is a charming quilt shop with two long arm quilting machines. 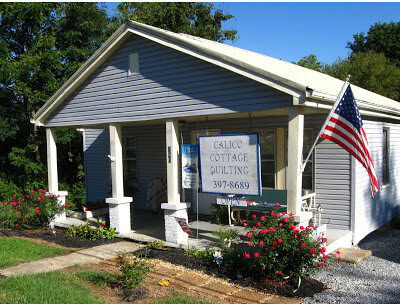 Calico Cottage Quilting in Dandridge, Tennessee. 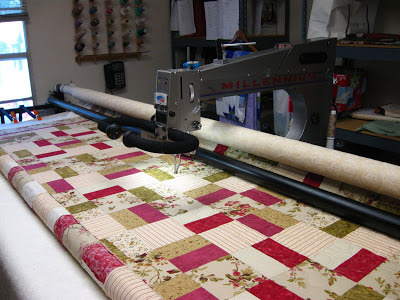 Denise Waymire, the owner of Calico Cottage Quilting, has been machine quilting on her APQS Millenium long arm quilting machine for over 11 years and does fabulous work. 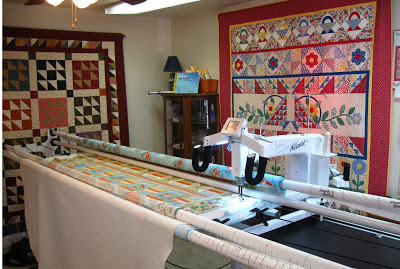 The new addition to her shop is the HandiQuilter Avanti. In addition to quilting services, Calico Cottage also offers tools, supplies and notions for the machine quilter (see the on-line store) and Denise continues to build a growing selection of quilting fabrics, patterns, notions and kits. I just know she'll work up something fabulous with the Desiree line. 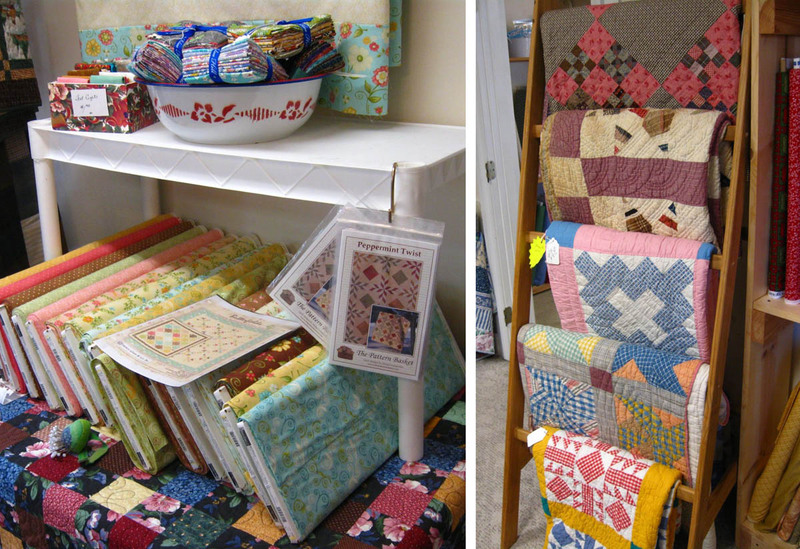 fabrics, button assortments and vintage quilts on display. A display of vintage and antique quilts for sale, and glass jars of buttons add to the ambiance of this shop. 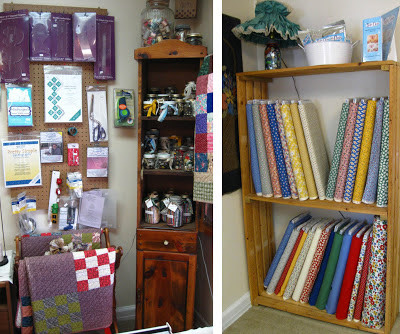 Fabrics, bundles, patterns and colorful vintage quilts. 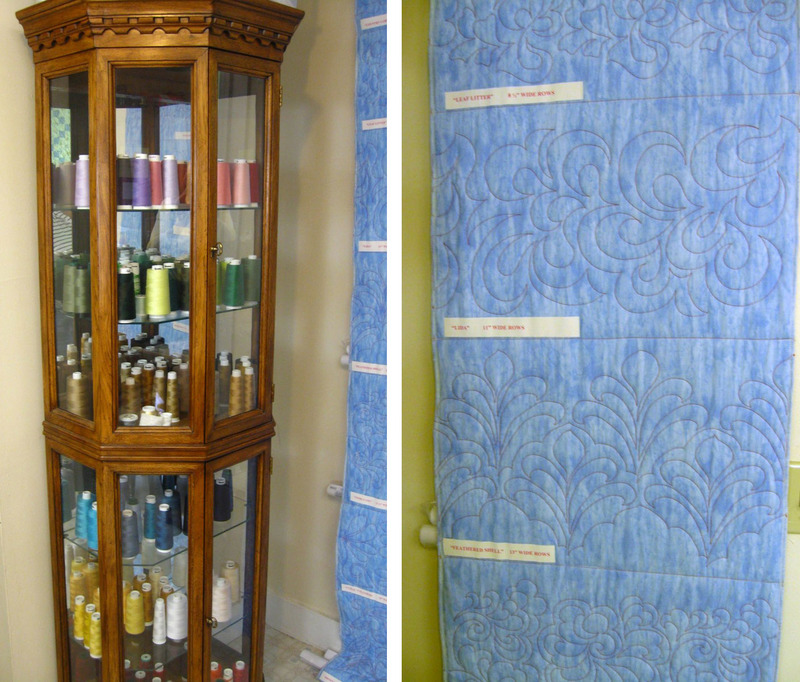 The thread cabinet sits beside labelled stitch-outs of the various machine quilting patterns offered at the shop. Threads and machine quilting stitch-outs. When I arrived at Calico Cottage Quilting, I was warmly greeted by Denise. She is one of those people that immediately makes you feel at ease—like an long-time friend from childhood. 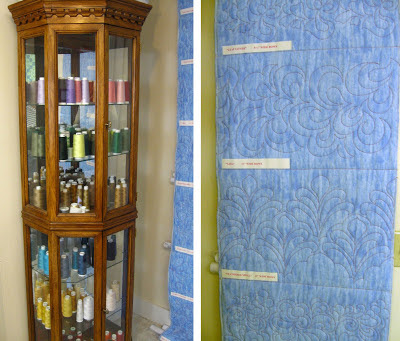 So it was easy to fall into a conversation with her at the kitchen table about threads, battings, supplies, Blank's new wide backing collections and other machine quilter-ly topics. 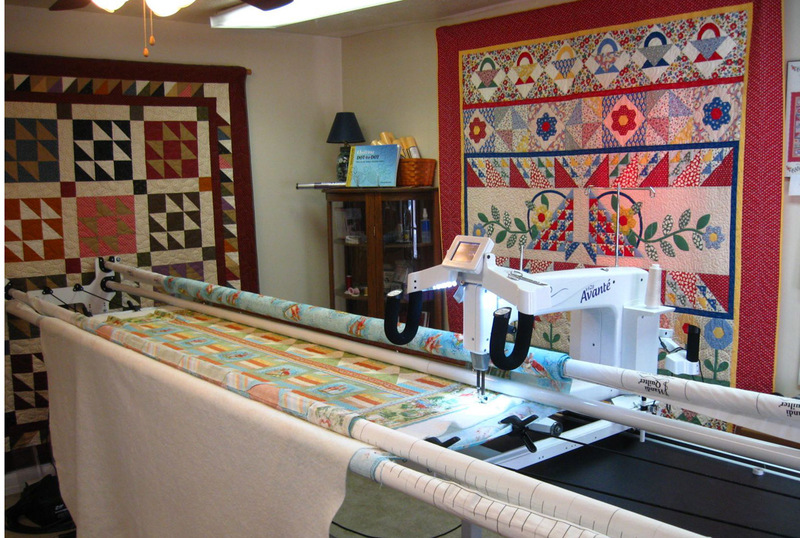 I always enjoy hearing insights and gleaning inspiration from other machine quilters, especially those with experience such as Denise. I could have spent the entire afternoon chatting with her, but several customers arrived and I needed to be on our way. 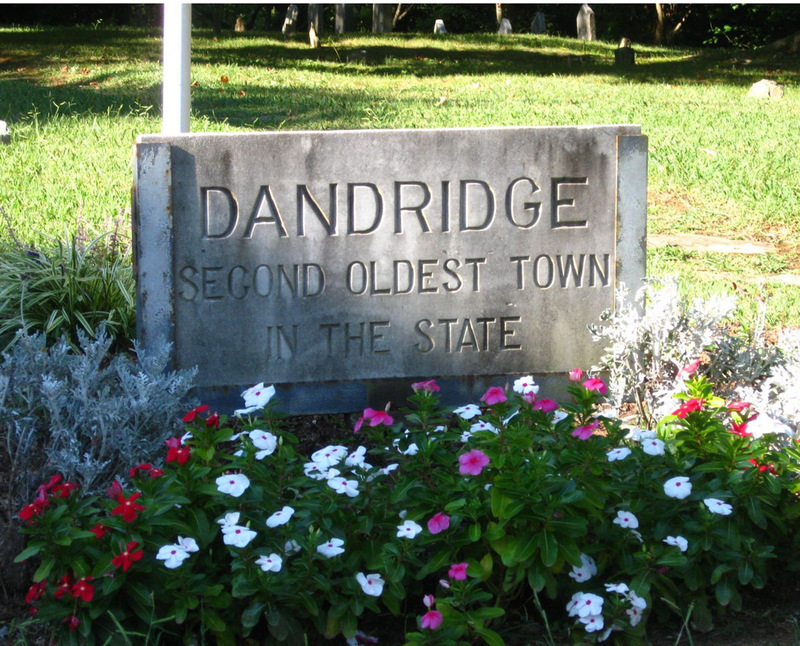 So take a trip to Calico Cottage Quilting—just 30 miles east of Knoxville in the quaint historic town of Dandridge. You'll feel right at home. 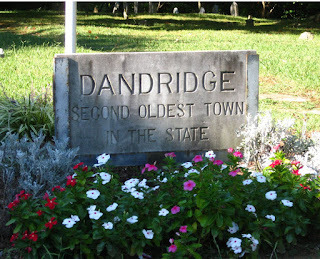 A Dandridge sign sits among the flowers in front of an old cemetery.